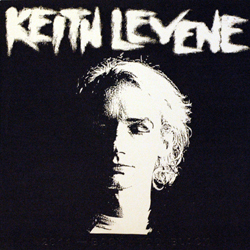 “Back Too Black” by Keith Levene « DON’T ROCK N ROLL NO! Actually, rather than waiting for me to post it, head on over the The Commercial Zone, which may be the best album blog I have ever seen. He’s posted his namesake LP in it’s entirety, along with a hundred or so other must have discs… often the CD re-releases with tons of bonus tracks. Thanks to Fantod, whose new blog is off to the right start, for pointing this one out. Thanks so much for making this available. Commercial Zone no longer has the lp up. Anyway of getting a copy of this reposted in full? Tried to figure out how to request at commercial zone but had no luck. I also second the request for a rip of this album. I’m working on an extended version of the “Hollywood Vice Squad” soundtrack and would like to have the songs from this release for it. Thanks for re-sharing it. For those wanting a copy of “2011-Back In Black”, here is my vinyl rip. All songs have been cleaned of noise and any crackling/pops. I also combined the tracks “Cops I, II and III” into on continuous song since that is the way they actually play. Not sure why Keith separated them. Anyway, enjoy as I know you will. BTW, “Cops” and “Cedd Moses” were used in the film “Hollywood Vice Squad”. The “Violent Opposition” version of “Heavy 4 Fire” was used as well, but not the one from this album.